Sanskrit was introduced in Ambedkar College from the academic session 1995-96. Initially this department starts imparting the knowledge of Sanskrit as a General subject in the campus of Fatikroy Class XII School by appointing teacher Sri RadhakantaNayak, an erudite Sanskrit scholar hails from West-Bengal. Subsequently in 15th August 1999, when college got its present permanent campus, this department got Smt. LipikaDasgupta (1997-2000), as a part-time teacher, and in the same year joins Smt. SilaNath (1999-till today), who is presently working in this department. After the transfer of Smt. Dasgupta this department remains functional with only one teacher, i.e. Smt. Nath. Then, with the increase of students, in the year 2002, joins Smt. 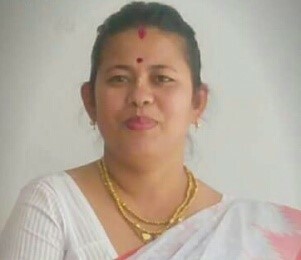 Mamata Das (2002-2009) and with the presence of two teachers activities of the department run smoothly. In the year 2009, after transfer of Smt. Das, the department was fortunate to get two teachers, viz. Smt. Kshama Chakraborty (2009-2012) and Sri Parthasarathi Acharjee (2009-2013), two erudite scholars of Sanskrit of this region. Thus, after 2009 this department was running with three teachers, viz. Smt. Nath, Smt. Chakraborty and Sri. Acharjee, and during this time, keeping in mind the strength of able teachers of the department and considering the demand of the college authority for offering Sanskrit as a Honours subject, the Department of Higher Education, Govt. Of Tripura, submitted a letter proposing the starting of Sanskrit Honours in the college. Tripura University did respond positively and on 14th June 2010 did give permission to introduce Sanskrit Honours with 20 students and thereby also advice to appoint two regular teachers in the department. It is worthy to mention herewith that the craze of studying Sanskrit as a Honours subject was so high that the Tripura University had to increase the intake capacity for Sanskrit Honours from 20 to 40 within sixteen days of the introduction of the Sanskrit Honours, i.e. on 30th June 2010. In succeeding days, following the aforesaid advice of Tripura University for appointment of two regular teachers, Dr.Tarun Kumar Sihna (2011-2013), Assistant Professor, was appointed in the department in the year 2011. In the year 2013 Dr. Sinha got transferred and his position was occupied by Dr. Anil Kumar Acharya, Assistant Professor. Since the establishment of the college the teachers of this department were so industrious that this department grew relatively faster than other departments of this college. In the year 2013, the sincerity and industriousness of its teachers resulted into the credit of producing one “First class First” in Sanskrit Honours under Tripura University in its first batch of Sanskrit Honours. Date of Introduction of Honours Course : 14th June, 2010. The student’s enrolment and the annual pass percentage are the two main strengths of the department of Sanskrit, Ambedkar College, Fatikroy; besides, the good rapport between students and teachers and Remedial coaching classes for students on holidays are not less than a factor of strength which helps the department to achieve success and excellence in academic pursuit. Inadequate faculty. And because of this organizing extra-curricular departmental activities, viz. celebration of World Sanskrit Day, 10 days Spoken Sanskrit camps etc are difficult. Disinterest of students as well as lack of strong will of academia towards ‘learn the Sanskrit language in that language’ are few noteworthy weakness of the Sanskrit Department, Ambedkar College, Fatikroy. There are ample opportunities to organize Seminar, workshop etc. on Sanskrit Language and literature and to open a centre for Spoken Sanskrit. The challenge for this department is to reduce the dropout rate of students between each semester and to create job opportunities; besides, one of the major challenges is to prepare the students to be well qualified to read, write and speak in the Sanskrit language without taking the help of their regional language, i.e. Bengali. In coming days this department aims to start ‘Spoken Sanskrit’ classes once in a week from the forthcoming session, and to run some add-on courses. 1. Two days National Seminar on:“SANSKRIT STUDIES: ITS PAST, PRESENT AND FUTURE, WITH SPECIAL REFERENCE TO TRIPURA” held on 28th and 29th July, 2015. Sponsored by UGC (NERO). 2. A Minor Research Project: "STUDENTS' ENGLISH-SANSKRIT-BENGALI SPOKEN- SANSKRIT WORDBOOK" financed by UGC (NERO) from March 2015 - March 2017. 3. NON-FORMAL SANSKRIT EDUCATION CENTRE, in association with Rashtriya Sanskrit Sansthan, New Delhi, from August 2018- May 2019. Qualification: M.A., M. 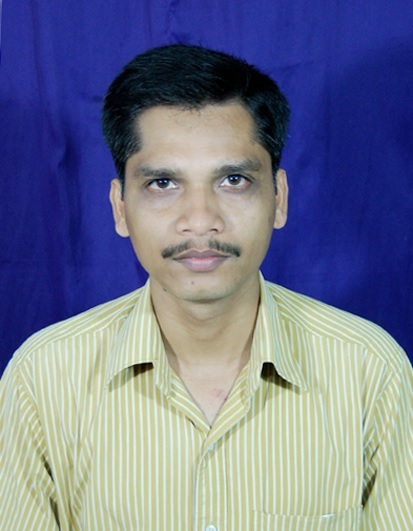 Phil., Ph.D., Shikshashastri (B.Ed. ).